This PDF 1.5 document has been generated by LaTeX with hyperref package / pdfTeX-1.40.17, and has been sent on pdf-archive.com on 31/03/2017 at 03:18, from IP address 189.142.x.x. The current document download page has been viewed 543 times. File size: 6.4 MB (9 pages). the output. On the right (e), we show 3 insets of (b), (c), and (d) (in that order). Zoom in to compare results. straight edges become wiggly and regular textures wavy. the output still exhibits distortions reminiscent of a painting. of day, weather, season, and artistic edits. task of differentiating photos from paintings. by the Gram matrix of the neural responses . This approach successfully prevents any region from being ignored. issues are demonstrated in Figure 2.
image after converting them into a decorrelated color space. ability to match sophisticated styles. coordinate. We compute the correspondence by matching the neural patches of conv3_1. affine color transformations of the input to prevent distortions. which greatly improves the photorealism of the results. 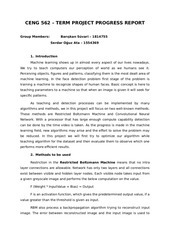 Style algorithm  by introducing two core ideas. (Eq. 1b) and the style (Eq. 1c). located at the same place in all channels. as a locally affine combination of the input RGB channels. the output is constrained by our regularization. (Eq. 3a). Lm is the photorealism regularization (Eq. 2). setting for all the results in this paper. and parameters Γ = 100, λ = 104 for all the results. other results in this paper. transfer due to the strong photorealism regularization. labels are detailed in the supplemental material. work before reporting the results of two user studies. is undesirable in the context of photographic style transfer. happening and our results look visually more satisfying. similar color in the input. help, e.g., to match a transparent perfume bottle to a fireball. scenes for each of the 4 methods for a total of 32 questions. distortions and matches texture semantically. transferring spatially-variant color changes, yielding better results than previous techniques. a single style image instead of a full time-lapse video, and it can handle other scenarios in addition to time-of-day hallucination. produces photorealistic and faithful results. input image so that users could focus on the output images. 80% of the time (Fig. 8b). method to achieve real-time performance is another promising direction. L.-C. Chen, G. Papandreou, I. Kokkinos, K. Murphy, and A. L.
 A. Hertzmann, C. E. Jacobs, N. Oliver, B. Curless, and D. H.
 Y. Shih, S. Paris, C. Barnes, W. T. Freeman, and F. Durand. K. Sunkavalli, M. K. Johnson, W. Matusik, and H. Pfister. This file has been shared by a user of PDF Archive. Document ID: 00576294.